I watched a video on youtube the other day by Maremi's Small Arts and she made a flower using a dry baby wipe that had been used to clean up her work area as she made an art journal page. I thought I would give it a go. 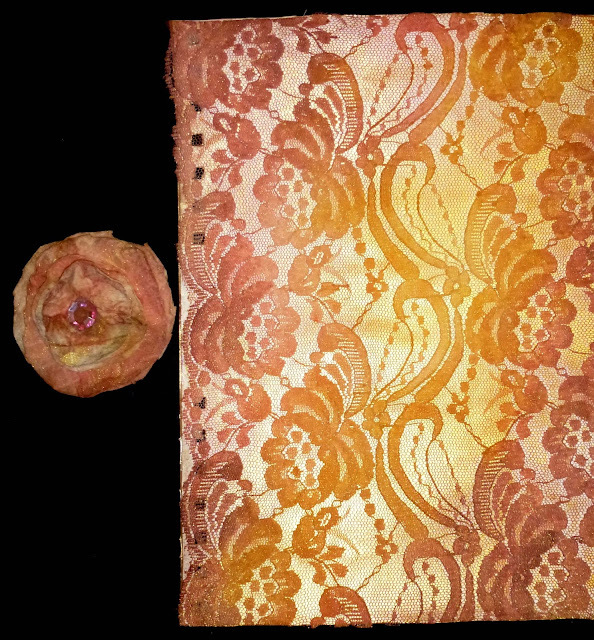 This is the flower and the art journal background I was creating when I used the baby wipe.